Talley Farms Fresh Harvest CSA brings top-quality, California-grown produce to 4,500 subscribers throughout California and two neighboring states. If Oliver Talley were here today, I think he’d raise a fresh green bean* in a hearty toast. Why? Because the vegetable farm he started in 1948 in the fertile Arroyo Grande Valley now also provides fresh produce to 4,500 subscribers from SLO County and throughout California, Nevada, and Arizona, through the Talley Farms Fresh Harvest CSA. First sprouted as an idea by the Talley family to bring local produce to local people (at the time, Talley Farms concentrated on the wholesale and retail produce markets), the Talley Farms Fresh Harvest CSA was launched in 2012 under the guidance of industry expert Andrea Shapiro Chavez. Andrea Chavez, manager of the Talley Farms Fresh Harvest CSA program, explains the harvest process to Flavor Team member Andrew. To say Andrea Chavez understands the produce industry is a bit like saying the Wright Brothers understood aerodynamics. After earning a degree in Economics from Cal Poly, she started her career in the produce industry and never looked back. Her early years were spent as Western Regional Sales Manager with Dole Fresh Vegetables, and she later achieved the position of Buying Broker, where she was responsible for shipping produce internationally. This was followed by 13 years owning her own business delivering fresh produce and gourmet food to homes and offices in Southern California. Not surprisingly, Talley Farms hired her to create a new, local, consumer program to provide fresh produce on a subscription basis. The Talley Farms Fresh Harvest CSA program was born. In just five years, Andrea Chavez has grown the program from zero subscribers to more than 4,000, with more than 50 pick-up locations from Cambria to Solvang. It also delivers fresh produce boxes to homes throughout California and Nevada and Arizona via Golden State Overnight. At Talley Farms, we strive to take care of our people, our land and our community the best way possible, which means that we employ both organic and conventional farming methods. The methods we choose are dictated by a number of factors, but we are committed to long term sustainability as reflected in our three generation history in the Arroyo Grande Valley and the fact that we live on our farm. But First: What’s a CSA? 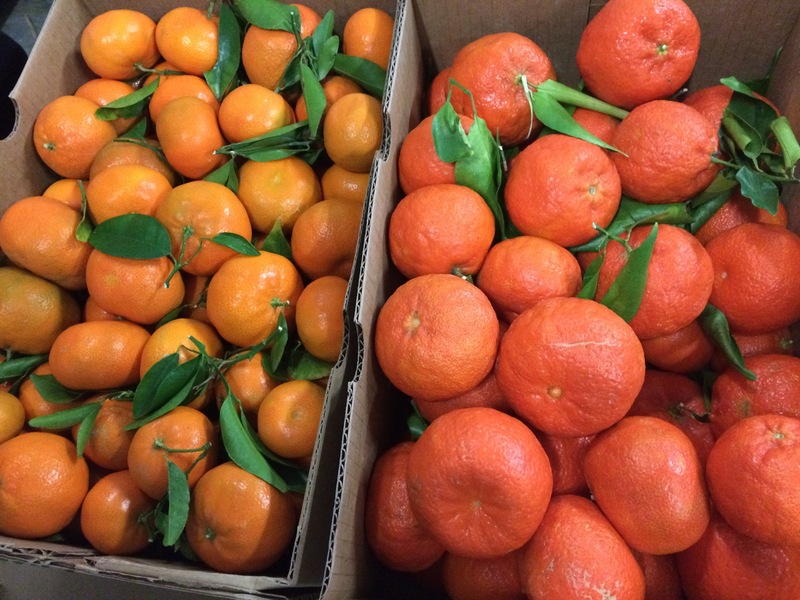 While the usual definition of CSA is Community Supported Agriculture, for the Talley Farms Fresh Harvest CSA, it well could be California’s Seasonal Awesomeness. According to the USDA website, the CSA model began in the US in 1986, and different CSA models exist. For example, some ask their customer “shareholders” to pledge via paying in advance to cover the anticipated costs of the farm and that year’s crops, including seed, machinery, labor, etc. In return, individuals receive shares of the farm’s harvests throughout the growing season. They share in the abundance as well as the risks of a poor growing year. Some CSAs offer discounted rates for shareholders that help with the farm labor or distribution. Talley Farms Fresh Harvest is proud to be a part of Community Supported Agriculture (CSA), which is a popular way for consumers to buy seasonal food directly from local farmers. CSAs bring farmers and the community together by sharing the fresh foods they harvest. 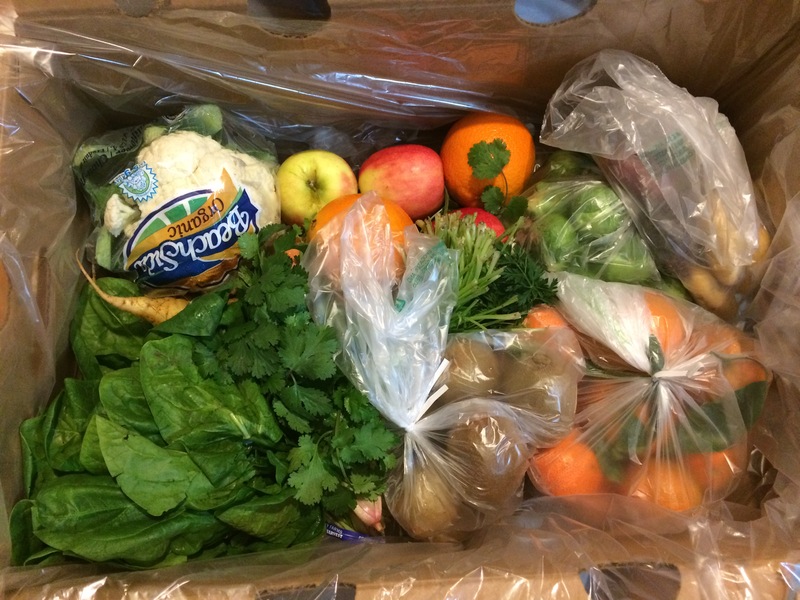 Other CSAs use a pay-per-delivery subscription system, which provides regular supplies of the farm’s harvests in exchange for regular automated payments. No matter the financial model, CSA programs create win-win-win scenarios. Farmers receive steady funding to raise and harvest crops; consumers receive fresh, local produce; and less energy is spent to transport produce long distances. The synergy helps local economies prosper on multiple levels. 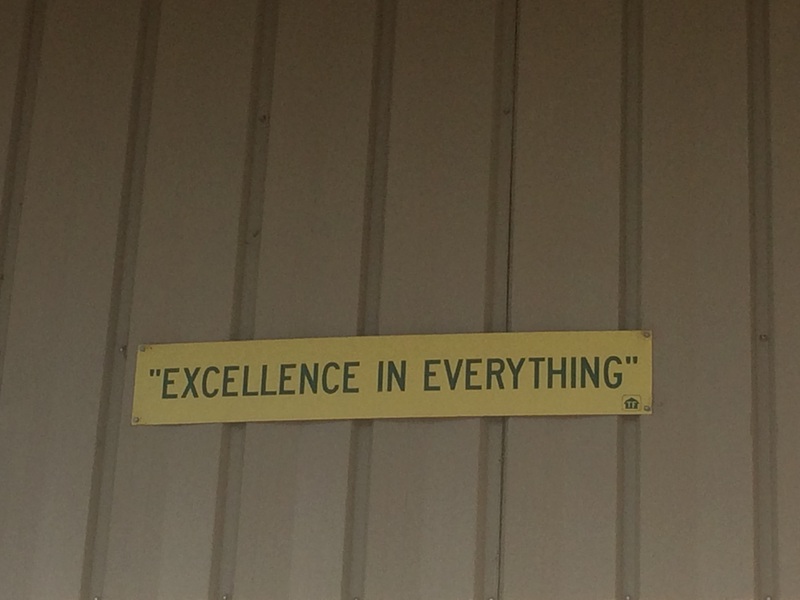 The Talley Farms motto that applies to all operations, staff, and products. Talley Farms’ motto is “Excellence in Everything,” and Andrea Chavez brought that vision to the new CSA. The Talley Family has been farming in the Arroyo Grande Valley since 1948, when Oliver Talley planted the first seeds. The third generation of Talley family members are now managing Talley Farms and Talley Vineyards, while the fourth generation is being “schooled” in our operations. “Our goal is providing our customers a safe, convenient, local, and affordable source for their regular produce needs,” she explained. When a new customer joins the Fresh Harvest CSA, they sign up for the quantity and frequency that fits best with their lifestyle. Customers choose their frequency — weekly, every other week, or monthly pick-ups at about 50 locations along the Central Coast. When compared with the time and energy to shop at farmer’s markets or grocery stores, as well as the convenience and built-in variety of produce provided by the Fresh Harvest CSA, it’s hard to beat. What’s in the Bountiful Box? 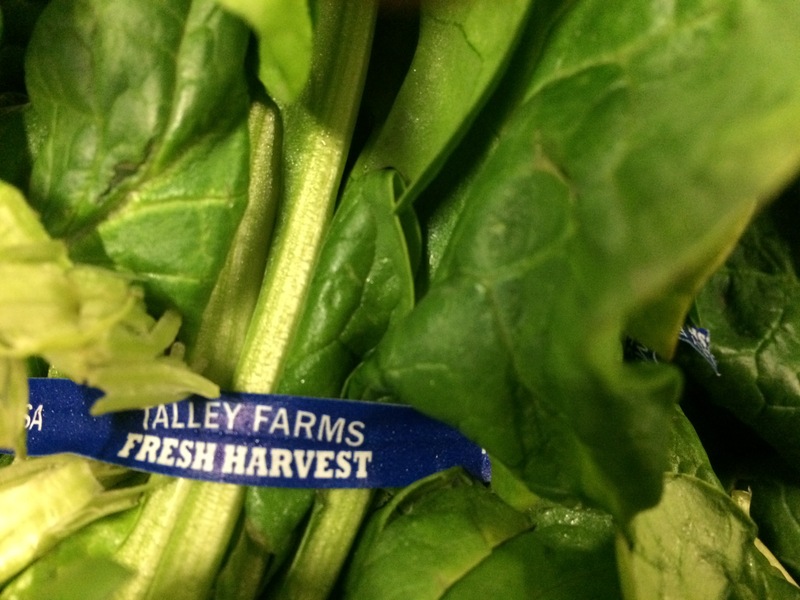 Fresh seasonal produce packs every Taley Farms Fresh Harvest box to the brim. Spinach, apples, cauliflower, and kiwi are just a few of the items. Here’s where the fun comes in, and what makes each Fresh Harvest box feel like opening a present. Each box is packed with what’s ripe and ready to harvest each week (and each season), so there’s an ever-changing rotation of fruits, vegetables, and greens. One of the beautiful things about living on the Central Coast is the rich soils, long growing seasons, and variety of crops grown in different areas. This makes the Talley Farm Fresh Harvest CSA even more rewarding. “Our goal is to provide variety, quality, and value in every box,” said Andrea. Of the approximately 1,500 acres farmed by Talley Farms, Fresh Harvest currently uses 30-40 acres depending on the season. The recent St. Patrick’s Day box included asparagus from Coalinga, small red potatoes from Bakersfield, blueberries and green cabbage from Santa Maria, Gold Nugget tangerines from Fillmore, Brussels Sprouts and rainbow chard from Arroyo Grande, butter lettuce from Carpinteria, and Pink Lady apples from Cuyama. Subscribers don’t just get an enormous box of fresh vegetables and fruits. Included in every box is a tip sheet with storage ideas, recipes, and fun produce facts. The website — TalleyFarmsFreshHarvest.com — has all the recipes listed and you can print them if you wish. Randy Chavez, Fresh Harvest Quality Assurance Manager, was once a stand-up comic at the Ice House and other well-known venues, but he takes food safety and quality with the utmost seriousness. With nearly a lifetime in the produce business, including co-ownership of a wholesale produce company in Albuquerque, his expertise in safe handling, distribution methods, and quality assurance is second to none. 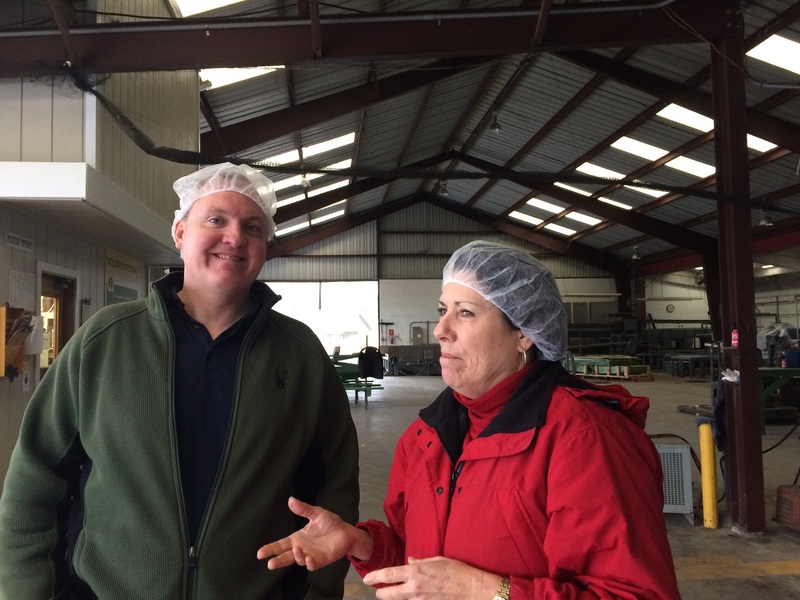 At the start of our morning tour with Andrea, we’d donned hair nets in preparation to meet Randy in the warehouse, where he oversees and assists with packing. The Farm Fresh crew packs boxes daily for delivery to pick-up locations and home delivery. Depending on the vegetable, vacuum, hydro, ice, or forced air cooling systems remove core heat, and the produce is then moved to the cool warehouse for packing. 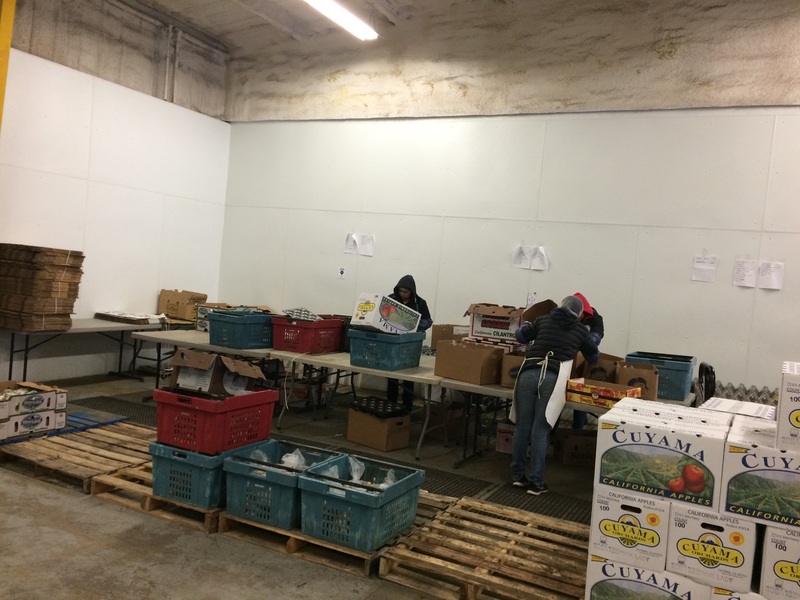 From there, the Fresh Harvest team packs boxes four days a week. Boxes are packed the same day they are delivered. Not only does Talley Farms uphold the highest food safety standards, but it requires every farmer they buy produce from to follow the same standards. 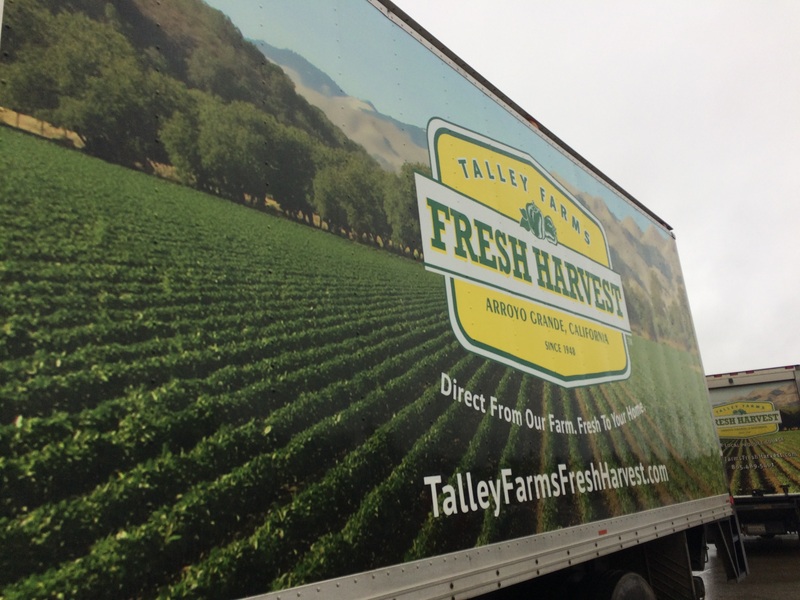 As a testament to Talley Farms’ commitment to quality and safety, it recently received a 97% success rating in a Global Food Safety Audit – the most extensive food safety audit in the industry, which includes harvesting crews, farmland, and coolers. As we were marveling at the colors and variety in each packed-to-the-top box, Randy raised a good point when comparing the Talley Farms’ CSA with buying produce at farmer’s markets and grocery stores. While every step in the supply chain should observe food safety protocols, the sheer number of people who handle produce in conventional distribution avenues increases the potential risk for contamination and food-borne illness. Safe and sustainable business practices continue during the packing process. The reusable boxes are lined with a fresh plastic liner before being filled each week. Fully collapsible, about 80% of the boxes are returned each week by members into specially made box holders at each pick-up location. Randy then brought up another good point: food safety and organic farming are two different topics. Organic farming relates to the use of approved sprays, soil additives, and so on, and prohibits the use of certain pesticides, herbicides, etc. However, many people may not realize that both organic and conventional produce is sprayed with pesticides. Conventional produce can be treated with a wider range of products — all of which must be registered as safe for the crop to which they are applied — while organic produce can only be treated with organic pesticides. While a crop may be grown organically, the food handling protocols during harvesting and packaging are when contamination can occur. We grow using Sustainable Farming Methods including drip irrigation and monthly water testing for minerality and pathogens. As a priority, we use organic sprays and fertilizers, while practicing strict food safety programs in our fields and coolers. Conventional methods and products are used only when organic applications cannot control diseases and harmful pests. All of our seed is non-GMO. The downside of providing all-organic produce is that a lot of the produce may have to be imported from out of state (and sometimes out of the country) and shipped many miles, increasing carbon footprint and not supporting California farmers. In addition, restricting choices to organically grown produce decreases the variety and nutrition that is available by eating more locally and seasonally. That being said, Talley Farms has made the decision to transition two, 15-acre fields to certified organic. These fields will be dedicated to growing Fresh Harvest produce only, and it will take three years for the soil to become certified. Everyone involved with the Talley Farms Fresh Harvest CSA is a close-knit group. In fact, 15 families live on the farm, and 50 single workers live in the bunkhouse during harvest season. Here’s a quick who’s who. Within the next year, Fresh Harvest will be planting a few acres of blackberries and raspberries. One acre of each will be grown just for the CSA program. An additional acre of assorted berries, including gold raspberries and olallieberries, will be grown at Talley Vineyards and provide a U-Pick opportunity right next to the Fresh Harvest Farm Stand. Need produce? Get Talley Farms Fresh Harvest. It’s an easy way to reap the benefits of eating more fresh produce and supporting local farmers. Everyone at Talley Farms, whether in the wholesale, CSA, or winery division, exudes their shared commitment to bringing the abundance of Talley Farms to the community. *As children, everyone in the Talley family got their start at Talley Farms picking green beans. Learn more about the CSA and inquire about upcoming farm tours.